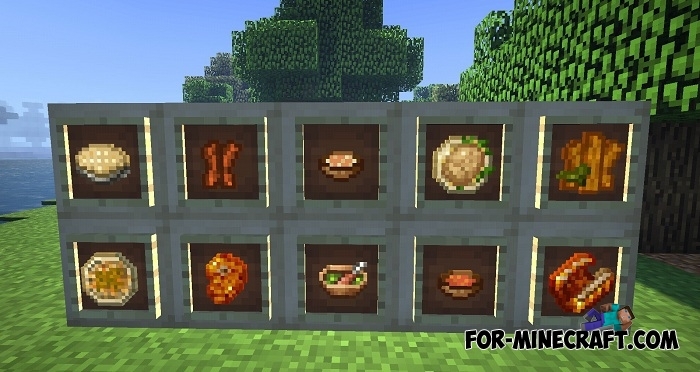 Pam's Harvest Craft PE is a ported version of the original mod for Minecraft Java Ed. 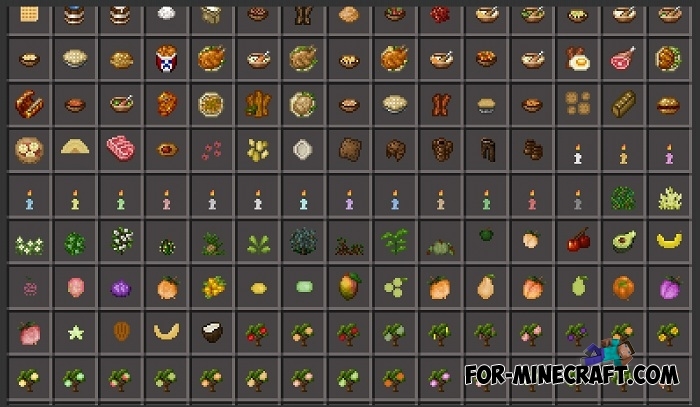 This mod adds many new types of food and various agricultural plant species. Now you will never die of hunger. 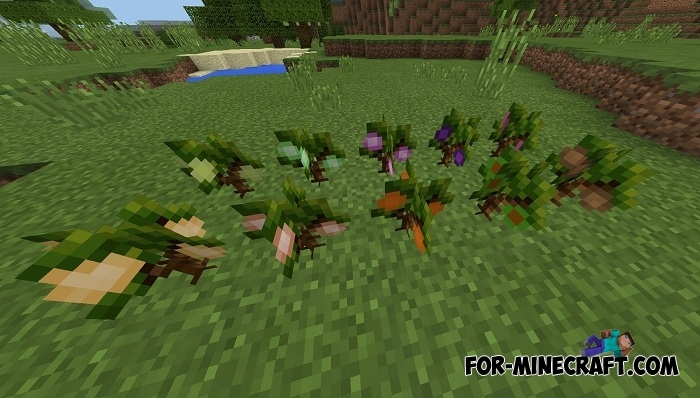 Plant shrubs will be generated in different biomes around the world. You can take or break them and get a few different fruits or vegetables. Exploring the world, you will also find trees on which fruits grow. 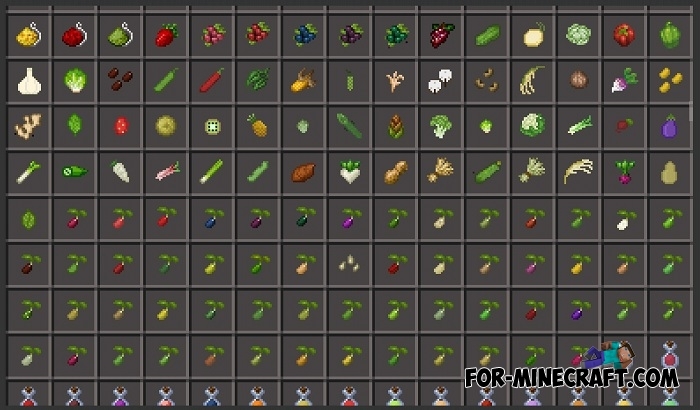 Collect seeds by breaking grass, plowing the land or recycling fruit and vegetables. 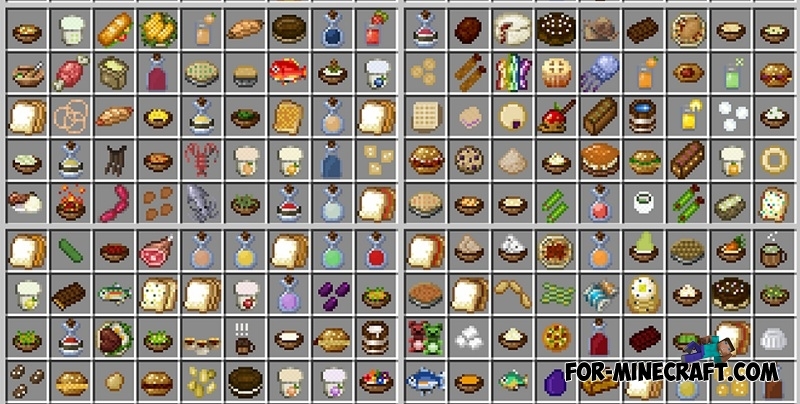 Create the most delicious dishes. Now there is a good reason to engage in farming. 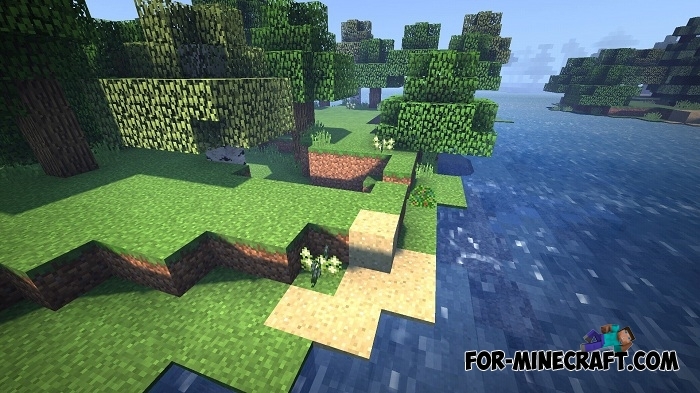 Enjoy Minecraft PE (Bedrock) in full! 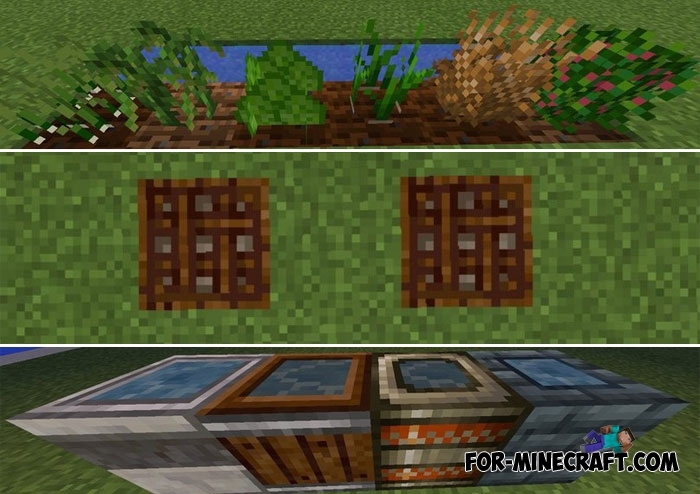 Pay attention to the Harvest Craft mod for Core Engine. Updated plants and bushes prototypes. Changed the number of dropping fruit from the bushes. The number of trees generated is optimized. Parameters of trees generation in the config. Added 26 new trees and 58 plants. 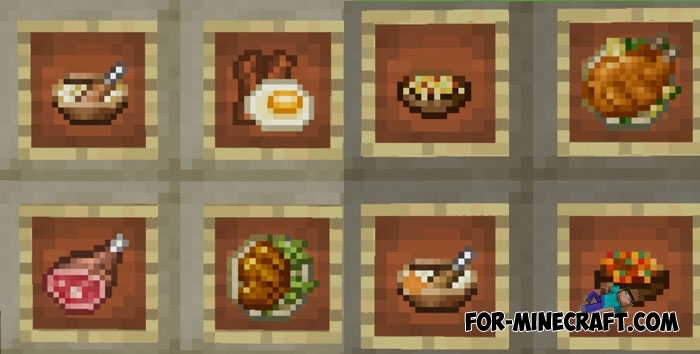 New food and crafting recipes. Added integration with Industrial Craft PE. 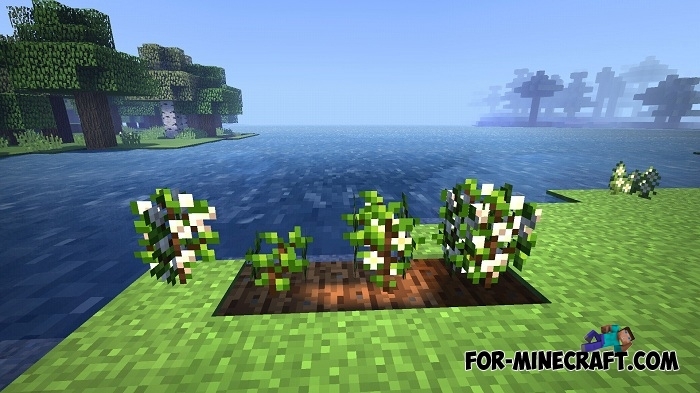 Added integration with Forestry PE. Fixed generation of salt blocks. Fixed fruit on the branches. Traps now interact with the BC and IC2 mods. 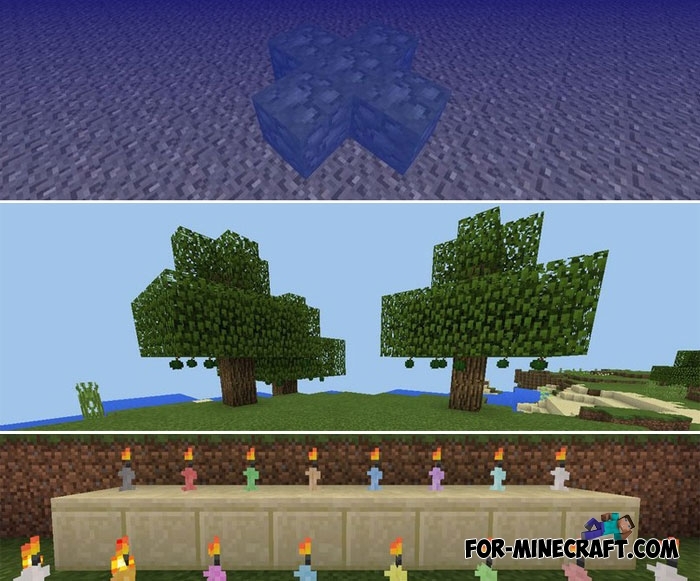 Bushes are generated by groups. Updated Harvest Core v1.1 API. Compiling the mod in byte code. The mod has become many times faster and will allow players with weak devices play more comfortable. Saline ore generation is fixed. 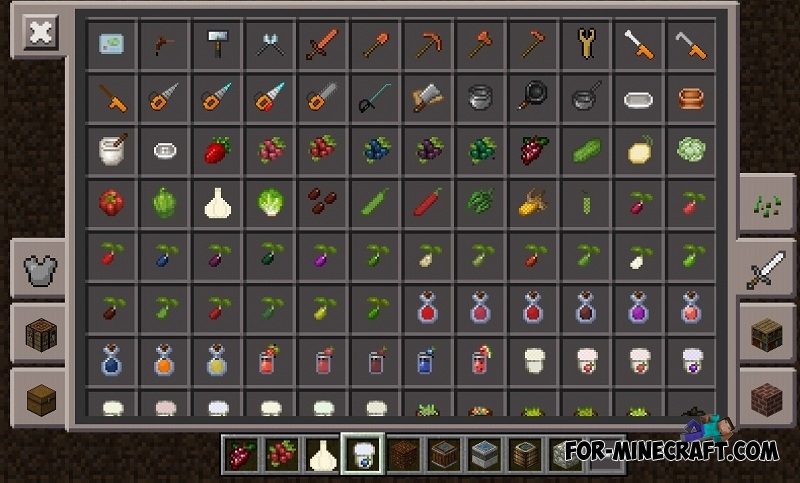 Now the salt has a normal generation similar to the PC version of the Pam's Harvest Craft mod. New chances of seed appearance, as close as possible to the PC version. Conflicts with Forestry PE are eliminated. 2. 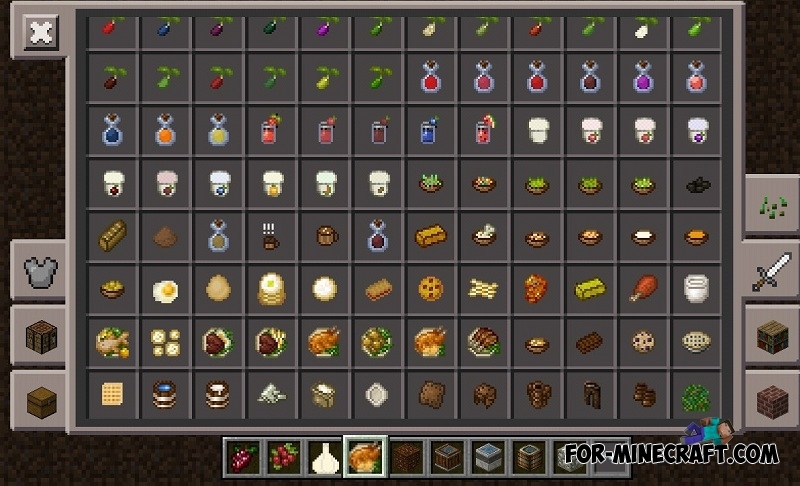 Move the "Harvest Craft PE (Inner Core)" folder here: games / com.mojang / mods.